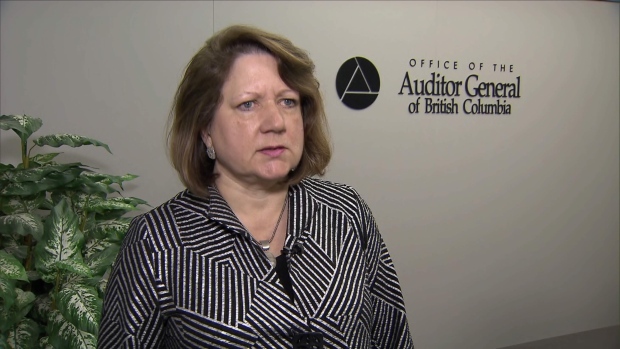 VICTORIA - British Columbia's auditor general says she has started a deep audit into allegations of inappropriate spending by two senior officials in the provincial legislature. Carol Bellringer says she has concerns about why a rigorous system already in place did not pick up on alleged irregularities outlined in a report by Speaker Darryl Plecas. Bellringer says she'll keep the public informed with regular reports as she goes through the process over about a year. She says she's been assured of full co-operation by the Legislative Assembly Management Committee and will be looking to its members for direction about the scope of the audit. The report by Plecas was released by the committee and alleges spending abuses by the clerk of the legislature Craig James and sergeant-at-arms Gary Lenz, who have been suspended while a police investigation is underway. Both men have denied the allegations, calling them completely false and untrue, and said in a statement after the report was released that they'll provide a detailed response to the claims. Bellringer says she's been assured full co-operation by members of the all-party committee as she seeks information to complete her work. "The first thing we do have to do is figure out exactly what needs to be done and why, and what is the purpose of it? Is it being prepared for submission to an authority like the RCMP?" she said Thursday in a conference call with reporters, adding she won't be able to determine that until she has the information she needs. When the legislature committee released the report last week it also agreed to launch an audit of legislature financial issues, conduct a workplace review and submit that report to an auditor from outside of B.C. The report alleges the clerk and sergeant-at-arms engaged in "flagrant" overspending, questionable expenses and inappropriate payouts of cash "totalling in the millions of dollars." The committee also voted to give James and Lenz until Friday to respond to the report.